This sort of thing is to be expected. I like how the paper, "calls for government agents to “openly infiltrate” websites and chatrooms". Ha ! They are trying to do this covertly and are failing miserably. Those attempts made to offer “alternative information” and “plant seeds of doubt” don't work when the truth is so obvious. Disinformation and psyche tactics don't work when we have a plethora of hard physical evidence. It's like trying to convince thinking people that the sky is orange when we can all see that it's blue. COINTELPRO = Failed. From Academy Award® nominated filmmaker, Charles Ferguson ("No End In Sight"), comes INSIDE JOB, the first film to expose the shocking truth behind the economic crisis of 2008. The global financial meltdown, at a cost of over $20 trillion, resulted in millions of people losing their homes and jobs. Through extensive research and interviews with major financial insiders, politicians and journalists, INSIDE JOB traces the rise of a rogue industry and unveils the corrosive relationships which have corrupted politics, regulation and academia. The economic crisis has yet to run its course. Thanks to the damage caused by the corruption, including the ineffective response by the Government, the USA is now moving into depression. This 30-second ad will appear on TV screens all over New York City. Please go to BuildingWhat.org to contribute. Every $750 raised will allow 10,000 more New Yorkers to see the collapse of Building 7 for the first time. Every single dollar counts ! Remember, the truth about 911 will end the Wars in Iraq and Afghanistan. Keiser Report – Markets! Finance! Arctic Arms Race! We look at the scandals of security firms by day, terrorists by night and whether or not Erik Prince ‘needs a break from America,’ or broke America. In the second half of the show, Max talks to Paul McLeary, a journalist specializing in defense, intelligence and military, about the arms race in the Arctic. This episode on War as a massive drag on the economy. Astronomers have confirmed the presence of five planets and have tantalising evidence of two more. The distance of the planets from their parent star follow a regular pattern, similar to that seen in our own solar system. 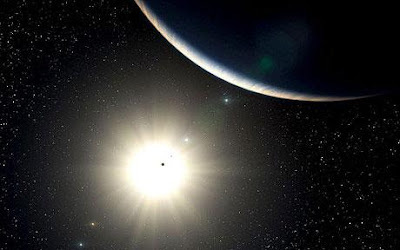 ''We have found what is most likely the system with the most planets yet discovered,'' said Dr Christophe Lovis, who led the European southern Observatory (ESO) scientists. ''This remarkable discovery also highlights the fact that we are now entering a new era in exoplanet research: the study of complex planetary systems and not just of individual planets. The more planets the greater the chance of life in the Universe. After documenting this charge in Part I of this essay, I show in Part II that the exact opposite is the case: that the official account of the destruction of the World Trade Center implies miracles (I give nine examples), and that the 9/11 Truth Movement, in developing an alternative hypothesis, has done so in line with the assumption that the laws of nature did not take a holiday on 9/11. In Part III, I ask these left-leaning critics some questions evoked by the fact that it is they, not members of the 9/11 Truth Movement, who have endorsed a conspiracy theory replete with miracle stories as well as other absurdities. The entire letter here is rather long but it nails those left gatekeepers who appear to either have their heads in the sand or are compromised and are deliberately obfuscating the facts. 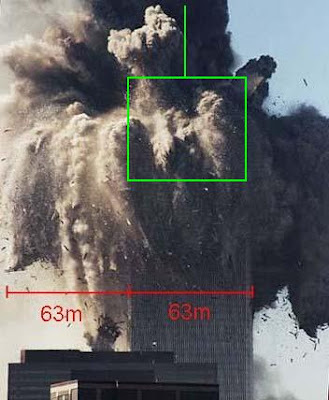 As Griffin points out, the physical evidence proves beyond ANY doubt that 911 was an inside job. The official reports and investigations are obvious cover-ups that avoid many questions. It well past time that we saw an honest reckoning of the truth about 911 from the left and from those uncorrupted journalists in the Mainstream Media who still accept the official account. Those journalists who value their integrity must face facts ! Remember, the truth about 911 will stop further false flag (nuke) attacks and end the unnecessary wars in Iraq & Afghanistan. A retired FBI agent has come forward with evidence that President John F. Kennedy was not killed by Lee Harvey Oswald in Dallas, Texas on Nov 22, 1963. When the real criminals can get way with murder then our future is in their hands. Standing up for the truth is critically important. “This is something that researchers with decades of experience have never seen before, and we think it must be linked to the spill,” noted Grey. The disinformation artists (debunkers), mainstream journalists and academics who push propaganda, to keep the public in the dark about staged terrorism, are condemning millions of people to needless deaths. However, those engaged in the cover-up will not be spared in any new biological or nuclear attack. Pawns WILL be sacrificed by the "strategic thinkers" who are running the terrorist agenda. It is therefore essential for the population to become educated about false flag terror so we can see a proper criminal investigation into 911 such that the criminals behind that attack, and other incidents, can be prevented from further monstrous crimes. Keiser Report – Markets! Finance! Global Death Spiral! We look at death spirals and vanity trades in the global financial markets. In the second half of the show, Max talks to Richard Buchanan about his attempts to form a Facebook union. This episode also covers attempts to restrict Internet freedom via toll-booth-style systems. The Keiser Report is an essential news program for anyone concerned about the Global Economy and the impact corporate/government criminal shenanigans have on our day to day lives. Common sense, adherence to Just Laws and a healthy dose of idealism is exactly what we need to make a better world. Never forget the good lessons about life that can be found all around you. Hold onto that vision for a better future. An examination of how the handful of corporations that dominate the media system in America shape reality and control the collective consciousness of the nation. Part 1 of this video outlining key information from the documentary "Manufacturing Consent" can be viewed here. WhatReallyHappened.com is the best news resource on the Web. Essential information about corporations, groups and individuals who are "pulling the strings" of Government and media can be found at that location. It is a corruption detector, providing vital information so you can understand how the world really works. The alternative web address is waketheflockup.com. UPDATE: Mike Rivero writes that the shutdown is due to a "DNS goof. Will be fixed soon.Michael Rivero" All cool. Speculation about what has happened here can end ! More than one group was involved in smuggling heroin out of Lebanon and into the USA using PanAm flights. The Libyan sentenced for the Pan AM Bombing was framed. The list of drug connected groups here is a real list of suspects in the murders. Iran's Nuclear Power Station is no Threat to the West. Iran's nuclear program is highly monitored. All their nuclear material has been accounted for. Apart from generating electricity, the Iranian's are also enriching uranium to 20% for medical purposes. Making weapons requires enrichment of over 90%. This is not happening. A 2007 NIE Report reflecting the views of the US intelligence community stated that Iran has no active weapons program. Furthermore, if the Iranians did possess a bomb any attack they make would be suicide because of the response from Israelis and Americans. The Iranian leaders are not stupid enough to sacrifice the entire country. Gwen Olsen spent fifteen years as a sales rep in the pharmaceutical industry. If a big pharmaceutical company discovers a cure to cancer it will bury the technology. Files declassified in America have revealed covert public relations and lobbying activities of Israel in the U.S. The National Archive made the documents public following a Senate investigation. They suggest Israel has been trying to shape media coverage of issues it regards as important. Luckily those people reading the online blogs know better than to believe the corrupted mainstream press. Oil in Gulf "VERY RESISTANT to further biodegradation" - "Full toxic form for Decades"
Gulf Oil Spill and Seafood Safety Government Panel, House Committee Energy & Commerce, Energy and Environment, August 19, 2010: Lisa Suatoni, Senior Scientist Natural Resources Defense Council, Oceans Program & Ian McDonald, Professor Florida State University. The Gulf disaster is turning into a doomsday scenario for that entire region. The oil is not breaking down and it's still flowing. The disaster is massive, and getting worse. Every resource needs to be put to the task here and the whole operation overseen by an independent and transparent body. We need to know what is really going on and we need the problem fixed ! If you can disbelieve the fundamental Laws of Physics, laws that have so far never been proven wrong, then you can believe the official story about the collapse of the WTC buildings. The wars in Iraq and Afghanistan must be ended immediately ! 911 was an inside job. Part 1 is an overview that outlines Al Qaeda's links to Western intelligence, the double agents and fictitious characters that populate its ranks, and the fraudulent ways the Al Qaeda myth is propagated in the controlled corporate media. Part 2 goes into Zbigniew Brzezinski's Operation Cyclone, the ISI-CIA-MAK-US Government funding circle, and CIA connections to Osama Bin Laden. The attack on Iran MUST not be allowed to happen. If it goes ahead, they'll be all manner of false flag terror attacks launched so that the strike will be escalated into a fully fledged war. Climategate: The Faulty NOAA Satellite Data/Hundreds of Scientists Deny there is a Climate Crisis. Last week’s meeting of 700+ scientists, policymakers, and concerned citizens in Chicago to discuss the science and economics of global warming at the Fourth International Conference on Climate Change was a huge success as measured by the intent of its sponsors: to establish once and for all that the climate realist position is increasingly the accepted conclusion among thinking people in the three categories noted above. That position is this: manmade global warming is not a crisis. The purpose of this post is to give an overview of Mossad's involvement. Also involved are MI6, plus India's equivalent to MI6 (or the Pakistani ISI), known as the "Research and Analysis Wing" (RAW). In Sri Lanka, Mossad trains, arms, and equips both sides -- through its Cambodian Zim Shipping empire, and through its holdings in South Africa -- and perpetrates false flags whenever there is talk of peace. Mossad’s goal is to maintain the lucrative arms market, plus the local drug trade that helps pay for those arms. ISI drug lords in Pakistan and Israeli gangsters in Turkey (plus Mossad in Southeast Asia) sell heroin to the Tamils, who use the drug proceeds to buy arms from Mossad. In the early 1990s, over 600 cases involving Sri Lankan Tamil traffickers were reported to Interpol. Mossad is not the only source of arms and training, but it is the largest in Sri Lanka. Most (not all) of the weapons come from Mossad-owned factories in Vietnam and Cambodia, and from Jewish-owned factories in South Africa. The British also arm and train both sides. Just as the CIA uses its “National Endowment for Democracy” to arm dictators and death squads, MI6 uses use Oxfam (Oxford Famine Relief), which is one of England’s most powerful and secretive intelligence organizations. BCCI was a major international money-laundering bank founded by Agha Hasan Abedi of Pakistan in 1972. Abedi moved his headquarters to London, and registered the company in Luxembourg (which vies with Switzerland as Europe’s biggest money-laundering center for world gangsters, especially Jewish gangsters.) BCCI operated in 78 countries, had over 400 branches, and claimed assets of US$ 25 billion. MI5 confirmed that the Israelis funded their Abu Nidal terrorist through the Sloane Street branch of BCCI, near Harrods in London. The Israelis also used BCCI to fund “Black September” and many other Israeli false flag operations. On 21 September 1977 Bert Lance (director of the U.S. Office of Management and Budget) resigned in disgrace from the Carter Administration, and went to work for BCCI. Lance got many U.S. officials to launder their money through BCCI, including U.S. Defense Secretary Clark Clifford, and his Jewish partner Robert A. Altman. Israel’s Mossad, Pakistan’s ISI, England’s MI6, and America’s CIA also used BCCI, as did rich people all over the world. For example, Garrards and Mappin & Webb, the jewelers responsible for maintaining the crown jewels, and makers of the trophy for the America's Cup, all laundered their money through BCCI. So did billionaire Saudi arms dealer Adnan Khashoggi. None of these gangsters, rich people, and intelligence agencies could afford exposure. Although the War in Sri Lanka has ended this article helps the reader understand the shadow intelligence world that pulls the strings from behind the scenes (the global intel-corporate mafia). Presently it is likely that the Heroin being shipped out of Afghanistan is coming through ISI and CIA connections. It is difficult to image these agencies not being involved ! The “end of the war” may bring some measure of relief to the American people, but it must be something of a sombre moment for those 50,000 troops, as they continue to go into combat operations with the bulk of the American public believing, because their president told them so, that the war is over and combat operations have ended. A fake economic recovery, a fake resolution to the oil disaster and now this fake end to the Iraq War ! All stupid lies that will be undone in very short time. The corrupt nature of the US Government is revealing itself. People are waking up to the one party corporate controlled fascist system. Keiser Report – Markets! Finance! Crouching Assets, Hidden Wealth! We look at post anti-Americanism and crouching assets, hidden wealth in China. In the second half of the show, Max talks to Jon Thorisson in Iceland about his campaign against Magma Energy and about the resistance of the Icelandic people to IMF measures. Essential financial news. The truth about the global economy addressing the fact that the US is bankrupt. The recent outbreak of dengue fever is being portrayed by the media as a fortuitous reemergence of the disease in Florida and elsewhere in the United States after 75 years. Yet Hank Albarelli’s probe reveals that the US Army and CIA have been experimenting with dengue fever for years with the aim of weaponizing insects to be released against unwitting populations, as was previously done in Florida and elsewhere. Moreoever, Albarelli draws attention to the eerie similarity between dengue fever symptoms and those linked to the toxic emanations in the Gulf of Mexico and warns of the looming disaster that could unfold from the overlap. The timing of this outbreak of Dengue fever presents two additional problems; the symptoms of Dengue fever are very similar to that of exposures to chemicals such as those contained in crude oil and the dispersants currently being used in the contaminated areas of the Gulf of Mexico, potentially making it difficult to diagnose the source of a sufferer’s symptoms. Worse yet, there looms the possibility that Corexit and other toxins present in the Gulf area may weaken the immune system, thus setting the stage for more severe forms of the disease in people who are, or have previously been, exposed to the virus. Herein lies the dilemma: If a Gulf resident becomes ill, to what do we attribute his or her symptoms? In addition to the dispersants themselves, Gulf residents are potentially suffering from exposure to benzene, and other toxic chemicals that are naturally present in crude oil, as well as several potentially toxic gases being released from the well. In combination with the dispersant, the exact toxicity risk of these chemicals remains unknown. Add now, to the picture, the risk of having contracted Dengue fever, and the puzzle becomes more difficult to piece together. The criminals running the show in the USA have NO PROBLEM killing thousands or millions of people to advance their agenda. On the other hand the people of the USA have a big problem when it comes to understanding this basic fact. Check your history. When it comes to playing strategic games large sections of the population ARE entirely expendable. The only way to stop these continued shenanigans is to expose the criminals. Take note of this story and forward to your friends. US Government admits global warming satellite sensors “degraded” - temperatures may be out by 10-15 degrees. Now five satellites in controversy. Top scientists speak out. Meanwhile over in New Zealand: The country’s state-owned weather and atmospheric research body is being taken to court in a challenge over the accuracy of its data used to calculate global warming. The point being made here is that the climate data, coming in from various institutions around the world, and being touted at the IPCC, is flawed. Note also that NASA's data is known to be poor, and the CRU's data cooked. We almost have the full set of key sources upon which many of the world's scientists have based their assumptions. There is no way the oil disaster can be covered up. The attempts to do so are foolish and shortsighted. Trust in the US Government and corporations is going out the window. The US people will learn to NEVER, EVER, trust their Government in any way. Indeed, the fascist nature of the US system has exposed itself. This knowledge is the only good that will come out of the Gulf catastrophe. NOAA Implicated in Cover-up of Gulf Oil Disaster. This is the same NOAA that was recently exposed in providing artificially hot satellite temperatures in the climate-gate scandal. Check out the link to see a chart of estimated sea levels from 20,000 years ago to the present day. Also, consider this interview with the scientist who literally wrote the book on sea level research. There are fluctuations in climate, but the process is not fully understood. Unfortunately there are many unwarranted claims being made about our climate that are not substantiated by good evidence. Thus far the entire climate change issue appears to be a scam, one that has suckered many unwitting people and scientists. Col. Bowman also reminds us that Elected representatives and members of Law Enforcement, the Military and other officials take an oath to defend The Constitution. The US is in deep trouble because the oath takers think their loyalty is due the office of The President and the corrupt system currently in operation. In upholding an oath to The Constitution one must stand against the corruption and unconstitutional acts passed by recent US Administrations. Gul & Jones warn of war and false flag terror. At the moment we are seeing attempts to destabilise various countries throughout the world. 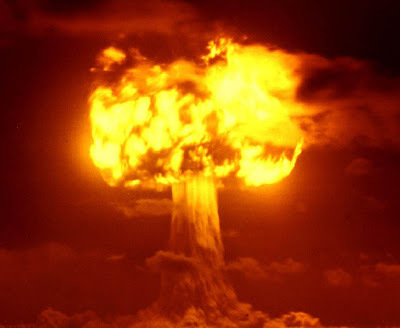 We can expect to see the destruction of Pakistan (as a nuclear power and strong Muslim country) plus the bombing of Iran so that there can be a wider Middle East war, one in which oil supplies will be choked. The aim with Iran is to break the country and to create a global oil supply crisis - Iran (or the US and Israel via false flag submarine attacks) may react by sinking oil tankers in the Straits of Hormuz. In this way we can see an excuse for the implementing of Martial Law in the US and a way in which other economies could be severely damaged with high oil prices and shortages. China would be an intended target of such massive economic destabilisation. A further question about these impending attacks is whether or not a nuclear false flag terror attack, on the USA or Europe, will occur before or after these actions. Such an attack will further the neocon agenda for destroying the power of Middle Eastern Muslim countries. Raising awareness of this situation is vital in forestalling the staged terror. The oil is still there and it's poisoned the sea-life (see here also). Don't eat the seafood ! Furthermore, even though the Government denies it, they are still spraying Corexit on the slick so that it can't be easily observed. ... in early December, Google began to minimize the Climategate scandal by hiding Climategate pages from its users. By Dec. 17, the number of climategate pages that a Google search found dropped by almost 10 million, to 22.2 million. One day later Google dropped its find by another 8 million pages, to 14.1 million. By Dec. 23, Google could find only 7.5 million hits and on Dec. 24 just 6 million. And yesterday, when I checked, Google reported a mere 1.8 million climategate pages. Google is part of the establishment apparatus and has ties to the CIA and NSA. He isn’t the only one wondering about this “unusual occurrence.” “Something is killing them. It wasn’t killing them before this oil got here. And now they’re dying everywhere,” a fisherman who didn’t want to be identified told WLOX. USF officials aren't the only ones who have drawn the ire of NOAA. Samantha Joye, professor of marine sciences at the University of Georgia, had a similar experience when she started talking about what she and others had discovered underwater. “BP keeps telling us there is no oil, to skim or otherwise, and we keep telling them there is… We’re skimming it,” the Orange Beach Coastal Resource Manager said. Whoever was in command of this exercise needs to be thoroughly questioned ! Keiser Report – Markets! Finance! Boycotts! We look at the scandals of swindled nuns, bounty hunters for small time fraud and Irish banks in a ‘league of their own.’ In the second half of the show, Max talks to economist, Shir Hever of the Alternative Information Center, about the Boycott-Divestment-Sanctions movement and about the economics of occupation. More than ONE THOUSAND two hundred experts now say that the attacks on the World Trade Centre Towers (and Building 7) were an inside job. Who really governs America? The United States government or the banks? Most believe the government but some say all you have to do is follow the money and you will see that Wall Street is behind it all. If you doubt that the Federal Reserve or Wall Street have significant influence or control over the US Government recall how the 700 billion dollar bailout was pushed through after the Congress initially refused to back it. Further consider the failed attempts by Congress to audit the Fed. The country is not ruled in the name of the people but for the corporate special interests. The important timeline information comes up after the "anthrax!" words spoken by people appearing in the media. The timeline reveals a suspect who may be directly involved in the Anthrax murders. For more information see here. NIST's admission that WTC7 entered actual freefall and critiques ... of their "investigation." Buildings never collapse through themselves without encountering resistance from their structures. Even damaged buildings still have some remaining structural elements that will slow a fall. Even NIST admitted that freefall can only occur for an "object that has no structural components below it". With WTC7 we can clearly see that for a significant portion of its collapse, there was NO resistance offered by its massive steel frame- as if the steel had been removed. 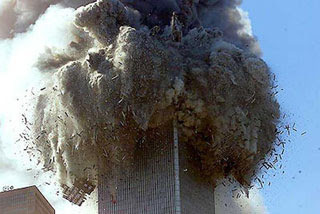 The only way to instantly remove steel, to allow for such a rapid and symmetrical collapse, is via explosive demolition. For more information visit Architects and Engineers for 911 Truth. Note that there is no scientific consensus on AGW. Climate changes but we do not fully understand the causes. Today, the 11th of August 2010, we are pleased to announce the beginning of the worldwide “BuildingWhat?” campaign. · The fundraising drive will run from August 11th until September 11th. · As a 501(c)(3), Architects and Engineers for 9/11 Truth will serve as the fundraising vehicle. Your contribution will be 100% tax-deductible! 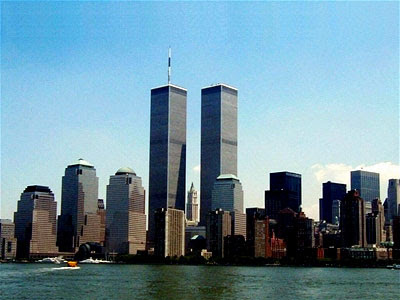 · Architects and Engineers for 9/11 Truth will receive 5% of the funds raised, another 5% will go to the WTC Rescuers Foundation, and the remaining 90% will go toward ad placement, web design and press releases. Get the word on the street ! Visit the Architects and Engineers for 911 Truth and Donate. This is the correct strategy: To hammer the public with the basic, indisputable evidence that proves 911 was an inside job. When EVERYONE knows the truth then the cover-up will collapse. The truth about 911 will end the Wars in Iraq and Afghanistan. E-mail messages obtained by a Freedom of Information Act request reveal that NASA concluded that its own climate findings were inferior to those maintained by both the University of East Anglia's Climatic Research Unit (CRU) -- the scandalized source of the leaked Climate-gate e-mails -- and the National Oceanic and Atmospheric Administration's National Climatic Data Center. The e-mails from 2007 reveal that when a USA Today reporter asked if NASA's data "was more accurate" than other climate-change data sets, NASA's Dr. Reto A. Ruedy replied with an unequivocal no. He said "the National Climatic Data Center's procedure of only using the best stations is more accurate," admitting that some of his own procedures led to less accurate readings. Later in the article NASA officials admit that they use much of the same source material in their analysis of climate temperature. If they had been using the NOAA satellite data they would have been working with corrupted information that mistakenly showed temperatures 10-15 degrees (F) higher than "actual". President Obama has abolished the position in his White House dedicated to transparency and shunted those duties into the portfolio of a partisan ex-lobbyist who is openly antagonistic to the notion of disclosure by government and politicians. Obama transferred "ethics czar" Norm Eisen to the Czech Republic to serve as U.S. ambassador. Some of Eisen's duties will be handed to Domestic Policy Council member Steven Croley, but most of them, it appears, will shift over to the already-full docket of White House Counsel Bob Bauer. Bauer is renowned as a "lawyer's lawyer" and a legal expert. His resume, however, reads more "partisan advocate" than "good-government crusader." On his blog, Bauer derided the notion "that politicians and parties are pictured as forever trying to get away with something," saying this was an idea for which "there is a market, its product cheaply manufactured and cheaply sold." In other words -- we keep too close an eye on our leaders. In August 2006 Bauer blogged, "disclosure is a mostly unquestioned virtue deserving to be questioned." This is the man the White House has put in charge of making this the most open White House ever. Most Americans have woken up to the sham Government running things in the US. I posted this to hammer the message and to alert international observers to these shady White House moves. "We've Now Killed The Gulf Of Mexico"
Matthew Simmons has been saying the spill is worse than anyone admits for weeks, and he hasn't been wrong yet. Today he tells Bloomberg we've now killed the Gulf of Mexico. For a longer interview with Matt visit this link. In the featured interview (above) Matt is talking about two separate locations. One , which is capped, and the other that resembles a "gusher" coming out of the sea floor. The solution, to prevent further leaking, is to use a nuclear weapon that would weld the ground shut as it turns the sea floor into glass. Apparently the Russians have used such a technique a number of times in the past. Let us hope that, in the event of a nuclear solution, things are not made any worse. Also, it looks, like the Gulf area is now thoroughly contaminated (by the spill itself and Corexit) such that mass evacuations of the populations living there might be necessary. Stay tuned. Keiser Report – Markets! Finance! Tier Terra! We look at Tier Terra [the ecological factors effecting the global economy floods and fires] and future crimes. In the second half of the show, Max talks to former banking regulator William K. Black about rackets and fraud in the financial sector. In one example swiftly taken down by NOAA after my first article, readings for June and July 2010 for Lake Michigan showed crazy temperatures off the scale ranging in the low to mid hundreds - with some parts of the Wisconsin area apparently reaching 612 F. With an increasing number of further errors now coming to light the discredited NOAA removed the entire set from public view. But just removing them from sight is not the same as addressing the implications of this gross statistical debacle. Here is the problem. The key institutions and centres providing data in the climate change debate have HUGE question marks hanging over the integrity of their material. The NOAA looks to have stuffed things up here and we know East Anglia's CRU has been cooking the books. The data proving overall global warming appears to be tenuous and the claims that this is due to human activity, as opposed to fluctuations in the Sun's intensity or due to (undersea) volcanism, has yet to be resolved. A war with Iran must not be allowed to happen. Please post this video everywhere and help stop the madness. It seems that from the day of plane crash Russian investigators are looking for evidence which would prove their theories that plane’s captain made a mistake because the president or somebody from his delegation pressed him to land in thick fog. In fact, the Russians lied that the captain had tried to land four times, ignoring the warning of the Smolensk airport tower. Although that claim was proved wrong – the pilot did not attempt to land four times – nobody in Russia, or the Western media, which mindlessly repeated the lie, apologized. It had to be clear signal for Kremlin that they can continue misinform as they wish and no Western reporter will challenge them. Americans do not know that hundreds of thousands of Poles are demanding an international committee to investigate their president’s and his delegation’s death. Although in May the Polish Minister of Foreign Affairs, Radoslaw Sikorski, repeated that he is not concerned about the investigation by Russians, the average Pole has a different opinion. According to Millward Brown SMG/KRC, polls say that 62 percent of Poles distrust the Russians. According to Polish daily newspaper “Fakt,” Polish investigators do not trust their Russian counterparts. Famous Russian dissidents, freedom fighter Vladimir Bukovsky and poet Natalia Gorbaniewska expressed their concern about investigation. One can hardly be surprised by lack of the Poles’ faith when he learns that, for instance, only two months after investigation Russians returned black boxes… with 16 seconds of missing recording. Start with a solid rubber ball, mass m (kg) and drop it on the floor from height h = 3.7 meters height = the height that WTC1 upper part is assumed to drop. The ball free falls with acceleration g (9.81 m/s²) due to gravity, makes contact with the floor and normally bounces. The ball was not rigid and deformed upon contact with the floor. Why? The floor applied a force on the solid rubber ball, so that it deformed, absorbed some of the kinetic energy E involved (E = m*h*g) and then released it and bounced up. Evidently the ball also applied a force on the floor that also deformed, absorbed the remainder of the energy involved; maybe the floor vibrated a little. This is Newton's third law at work. Then do the same thing with a solid sphere of steel. Drop it on the floor. If the floor is strong enough, the same thing will happen as with a rubber ball! The steel sphere bounces. If the floor is not strong enough, i.e. it cannot produce a force big enough to deform the steel sphere, so that it bounces back, the floor will be damaged - maybe a hole is formed in it, and the steel sphere drops through the hole at reduced speed and contacts something else below, or the floor is just partially damaged ... and catches the steel ball, i.e. arrests it. Finally drop anything weak (an egg or a lemon?) on something strong! PLAFSH! The weak anything (the egg or lemon!) is crushed against the strong something! Try to compress a lemon with another lemon. What happens? Both lemons compress. Now you have learnt a little what can happen when you drop anything on something and try to compress something. This basic knowledge is used in this paper. If the upper, 53 meters tall, 13-15 storeys upper part of WTC 1 actually dropped on the structure below is a matter of semantics. Drop suggests that it was not being held at all. I prefer that it came into contact after local structural failures and downward displacement and that it was prevented from dropping by the connections between the two parts. Anyway, only the velocity at contact is of interest and it was not high in the WTC 1 case. Assuming a 'drop' of 3.7 metres, it does not produce a big velocity; it is around 8 m/s. If the 'drop' is dampened by intermediate connections the velocity is much less. Dr Bazant (described below) and NIST suggest that the energy initiating or released at the WTC 1 destruction was enormous but in a serious ships collision it can be up to 10 times bigger!! NIST should learn from ship collisions! Bazant also assumes that the WTC 1 upper part was rigid (!). A rigid object is indestructible and will destroy anything non-rigid. But ships and WTC 1 upper part are not rigid. The official explanation(s) of the WTC 1 (photo left) global collapse (sic) is that the alleged release of potential energy (PE), of the mass of an upper part C above all supporting columns after sudden, local deformation and buckling, due to downward, alleged near free fall movement in an initiation zone (indicated by red) and impact of a structure below, exceeds the strain energy (SE) that can be absorbed by the same columns below and above and that all this was due to gravity only. Evidently this crush down model and theory is complete nonsense, but it is the official explanation(s) of the WTC 1 destruction on 9/11! A small, fairly weak part C, 95% air, cannot possibly crush a big part A of similar structure only due to gravity and compress it into a 87.3 meters tall tower of rubble on the ground after 10 seconds! Anyone that has just dropped anything on something knows this. Try then to crush this something! You need a big force for that, which gravity alone cannot provide. Note the pic above: There is no upper block crushing the lower sections- it's been obliterated. Furthermore gravity alone will not cause the debris to be thrown out laterally as is seen. Where is that pile-driving mass ? It does not exist. The building here is being ripped apart by forces other than gravity. Ellen Hodgson Brown explains the rationale behind state owned banks. Due to the collapsing credit bubble which in turned popped the housing bubble, leading to recession, and perhaps, economic depression, there is not enough money and credit to keep the economy running. Three possible solutions are that the federal government issue debt-free money directly, that communities create alternate or community complementary currencies, or that a state create its own state owned bank, similar to the Bank of North Dakota. ... A major advantage of a state owned bank is that the state could borrow money from the bank at zero interest, for projects, saving between 50% and 100% of the cost of the project, since there would be no interest burden when repaying the loan. Report: US Fails to Comply with Arms Treaties, Has Lost Nuclear Materials, Sells Weapons to its Enemies. This Russian report, described by the expert, is a response to a US report criticising Russia's compliance with the START arms control reductions. The report mentions that the US has been selling arms to Iran and Syria- countries not categorised as friends of the USA. This sort of arms proliferation makes perfect sense if you are seeking to build up your enemies as credible future threats. The accusations made here are extremely serious and reveals the hypocrisy and geopolitical games the US is playing behind the scenes on the world stage. Keiser Report – Markets! Finance! Robots! We look at the scandals of the summer sequel of bankers returning to the scene of the crime to demand another, bigger ransom in “Deflationary Black Hole: The Sequel.” In the second half of the show, Max talks to documentary filmmaker, Bregtje van der Haak about her film “Time for Change”, in which ordinary people respond to the crisis of banking and bankers with their own solutions. The banks are facing further massive loan losses. A second crisis is likely due soon. Judge Andrew Napolitano: "The Government is the Servant, Not the Master!" This brilliant site destroys the fake science and claims made by the 911 debunking fraternity. I highly recommend that everyone visit this blog in order to get some basic scientific principles set in mind. It is level-headed analysis at its best. For activists wishing to present a deconstruction of the key debunker falsehoods, thereby strengthening the case against the official web of lies, I suggest drawing upon the information found at Debunking the Debunkers. Encourage others to learn the truth and fight in the information war. Connolley, one man in the nine-member team who is a U.K. scientist, a software engineer and Green Party activist, took control of Wikipedia's entries to see that any trace of the true climate history would be erased. Corruptions !! I wonder if any money was involved in such a long running effort to alter the online record ? Remember the carbon trading scheme will be worth many Trillions of dollars. It'll be a tax on almost all forms of production.